Poplar Grove residents Randy Alberts and Gena Garner had some time to pose next to one of the carts used in the pregame ceremonies for Super Bowl LIII. 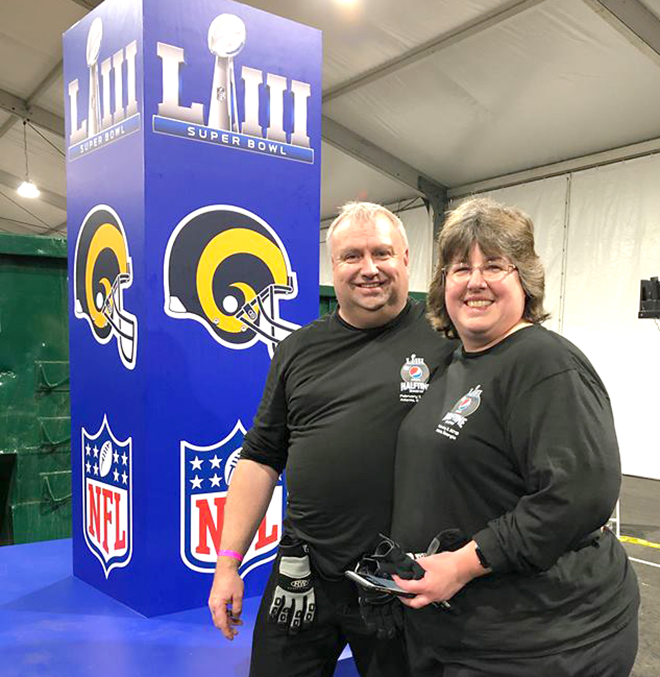 Last week we brought readers the story of Randy and Gena Garner, the Poplar Grove couple taking part in the halftime show of Super Bowl LIII as members of the setup crew. The big game came and went on Sunday, Feb. 3, with many people disappointed in both the halftime performance and the outcome of the game. A glitch caused a sound problem at the beginning of the halftime show. 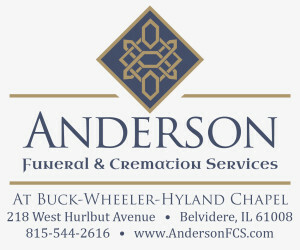 “The audio crew had problems all week,” Garner stated. The glitch, and one of the artists having to be bleeped out quite a lot, left something to be desired for the viewing audience. Aside from those things it can be said that the halftime show was spectacular as far as the lights and pyrotechnics went. Alberts thought it was better than last year’s halftime show, which he and Garner were also a part of. “Some amazing air and light effects,” Alberts reported after Thursdays practice. The 40 hours, or so, of practice the stage setup crew put in the week prior to the Super Bowl paid off for them as everything went together without a hitch. In fact, it produced some impressive results. “We had a record setup time, a little over four minutes,” Alberts said. Six minutes is given for the setup. In one part of the halftime show there were 200 lighted drones used. “They worked perfectly tonight. Last night they all crashed,” Alberts commented after the game. During their time in Atlanta the couple took in many of the places and activities going on. They toured the CNN news building, the Puppet Museum, the Coca Cola Museum and saw the Mars Rover that was on display. Garner came down with a bit of the flu on Monday and luckily recovered in time for Sunday. Garner and Roberts made their way home the Monday after the game, capping off another successful Super Bowl halftime show. The two are already checking in to doing next years show also.